How are you feeling going into BOP? I feel pretty good going into BOP, although for whatever reason, this race always makes me pretty nervous. I’m not sure if it is because there are so many people that watch this one, or if it is because BOP is a challenging race… Not sure, but I feel like I put in the training this year so I’m excited to see what happens. I keep trying to remind myself that at the end of the day it is all just fun and to enjoy the race and the community as much as I can. Who do you think, besides yourself, will be on the podium? This is a really tough question to answer. The women of this sport have really stepped it up this year and there are new girls coming out of the woodwork all the time. Especially this race in particular, you can never count anyone out or assume that anyone has it won because you just never know what will happen. 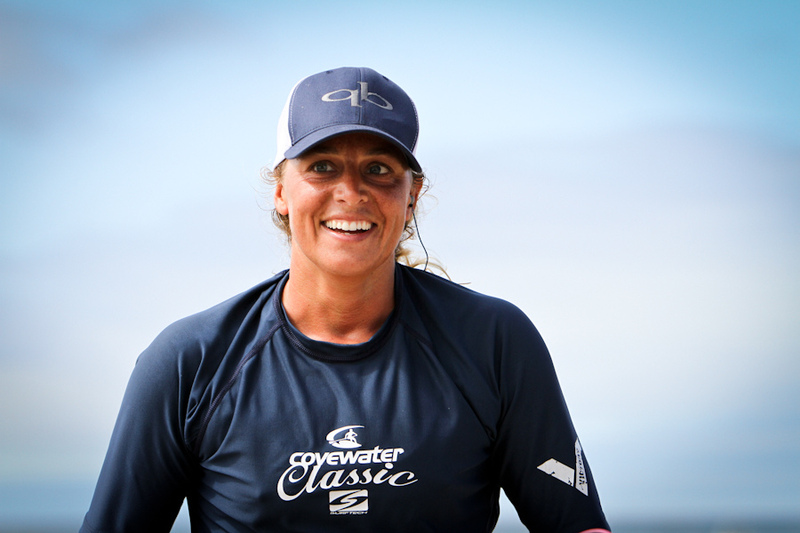 The best part about this race is that it tests your overall ability as a paddler with the different wind angles, the starts and turns and the waves, but these are also the things that leave room for error. You can be out in front and then in a second lose your board and your race is over. I guess the short(er) answer is that You never really know how this one will end up. What are you riding? Paddle? I am fortunate to be able to ride a 12’6 Custom BARK. Joe Bark makes some really amazing boards that not only glide really well but respond well in the surf. I will also be using a Quickblade paddle from Jimmy Terrell. He has a paddle he calls the “Slim Jim” that is a little longer and more narrow that I like a lot. I’m not the strongest girl out there, but I feel like I am fairly proficient in the surf, so for me the bigger the waves the better. How do you manage buoy turns with 20 furiously paddling maniacs and surf? The buoy turns are my least favorite part of the whole race. I’m not super aggressive, so it is out of my comfort zone to duke it out with a bunch of people around a buoy. Having said that, one of the things that I have been working on is not being so passive and letting everyone else go to avoid confrontation ha ha. The surf can be so fun, but also a challenge when there are 5 other people on the same wave. I just try to stay on the good part of the wave and avoid other people as much as I can. Do you have a board catcher? Next I am headed up the California coast for a small SUP surf roadtrip. Gillian Gibree said she was up for an adventure and I have some friends in San Fransisco who have promised to show us around the waves a bit so I figure we will head up the coast, surf what we can find along the way and then surf some more when we get up there. What environmental projects are you working on and where can people get info?